Our shop in Webster uses the latest diagnostic technology to get you on the road safely and quickly. We know scheduling auto repairs is never fun, thats why we have tried to make it easier with our online form! 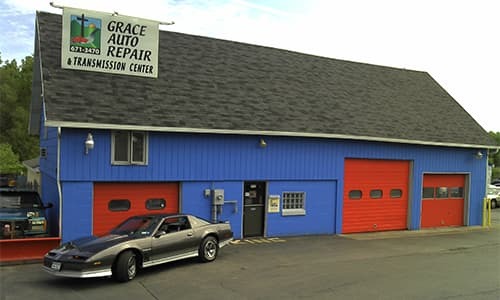 Grace Auto Repair is your complete auto repair and automatic transmission specialists, located in Webster, NY - just eight miles east of Rochester. With more than 30 years of experience, our expert staff offers full auto repair service on most makes and models, both foreign and domestic as well as automatic transmission repair and replacement. “i always drive by this place, 'nice name' I thought.. And what I know about cars except gas and go? But in this place, they look at you in the eyes and EXPLAINED, even with print outs, about the problem and how to fix it. 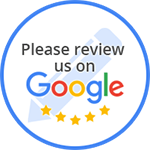 “I have had my car serviced here several times now. I recently moved to Rochester about 2 and a half months ago. The car I drove up with me was a car I had just gotten as a hand me down gift from a good friend a week before I moved. It had 194,000 miles on it and would need a good amount of work to keep it running. About a month after I moved, I spun out in the snow and hit a curb. The car would not drive straight after that hit and I took it first to Pep Boys. They estimated over 800 dollars of work. Skeptical... I asked around for a good mechanic and heard about Grace Automotive. I took it there. It did need a lot of repair but literally for things completely different from what Pep Boys wanted to do. Whats amazing about Grace is that they will try to inform you as much as possible about your car. They warned me of several other things that would need work but did not pressure me to do any unnecessary work or work that could be put off until a later date. They walked me around my car and showed me everything that was going on. I couldn't afford the immediate work that needed to be done so I had to call my parents. My dad is not the easiest person to talk to over the phone on such matters. But I'm telling you these guys were so gracious and patient with my father. They are extremely professional and willing to work with you to find cheaper options. For someone who just moved to a new area and shaken up by her first accident, I felt pretty emotional and vulnerable. The owner's wife came out from the back and saw me as I waited for them to finish talking to my dad and asked if she could pray for me since I looked so upset. I immediately broke down crying (is there a more girly thing to do than cry at the mechanic? I think not...) but they were so kind about it and took time to comfort me and reassure me that I would be ok. Their Christian faith is a big part of what makes this place so wonderful. I was so touched by the whole experience I've literally been telling everyone I can to go here. They really are worth it and I would never go anywhere else. The owner's wife even drove me home since the car needed a few hours of work. I live TWENTY minutes away!!! Words can't fully capture what a positive experience I've had here. They are genuinely kind, honest, and professional people. “I have had my car serviced here several times now. I recently moved to Rochester about 2 and a half months ago. The car I drove up with me was a car I had just gotten as a hand me down gift from a good friend a week before I moved. It had 194,000 miles on it and would need a good amount of work to keep it running. About a month after I moved, I spun out in the snow (city girl can't drive in this weather) and hit a curb. The car would not drive straight after that hit and I took it first to Pep Boys. They estimated over 800 dollars of work. Skeptical… I asked around for a good mechanic and heard about Grace Automotive. I took it there. It did need a lot of repair but literally for things COMPLETELY different from what Pep Boys wanted to do. I couldn’t afford the immediate work that needed to be done so I had to call my parents. My dad is not the easiest person to talk to over the phone on such matters. But I’m telling you these guys were so gracious and patient with my father. They are extremely professional and willing to work with you to find cheaper options. For someone who just moved to a new area and shaken up by her first accident, I felt pretty emotional and vulnerable. The owner’s wife came out from the back and saw me as I waited for them to finish talking to my dad and asked if she could pray for me since I looked so upset. I immediately broke down crying (is there a more girly thing to do than cry at the mechanic? I think not…) but they were so kind about it and took time to comfort me and reassure me that it would all be ok. Their Christian faith is a big part of what makes this place so wonderful. I was so touched by the whole experience I’ve literally been telling everyone I can to go here. They really are worth it and I would never go anywhere else. The owner’s wife even drove me home since the car needed a few hours of work. I live TWENTY minutes away!!! Words can’t fully capture what a positive experience I’ve had here. They are genuinely kind, honest, and professional people.